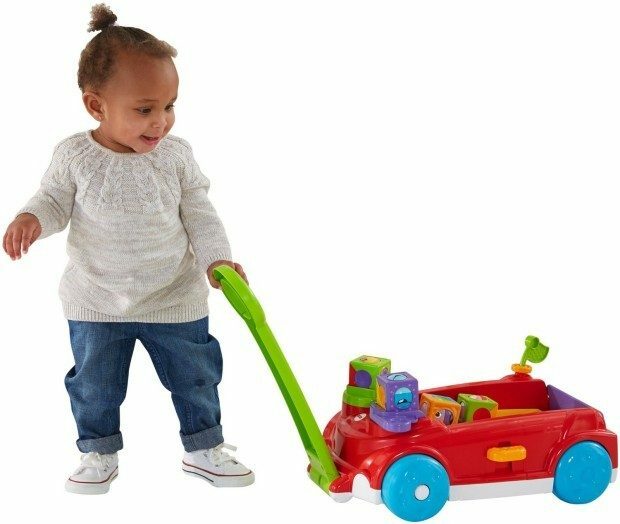 Get the Fisher-Price Roller Blocks Rockin’ Wagon for just $14.97 on Amazon (reg. $29.99). This offer is valid for Prim members. Not a Prime member? Get a FREE 30-day trial HERE. Shipping will be FREE! In Sit & Play mode baby can stack the roller blocks! Stand & Pull mode helps encourage baby to walk! Baby will have non-stop fun!